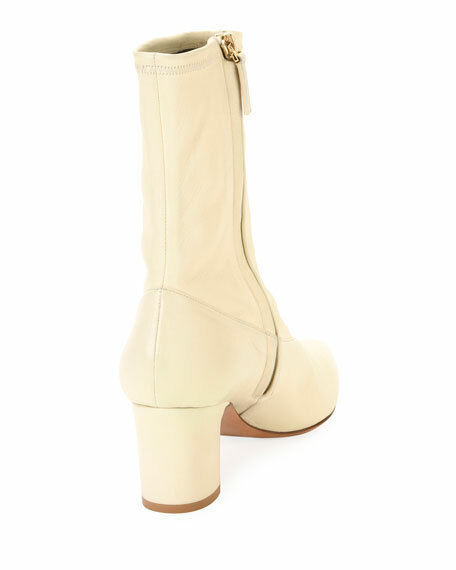 Valentino Garavani stretch-napa leather ankle boot. For in-store inquiries, use sku #2180534. Napa leather upper. 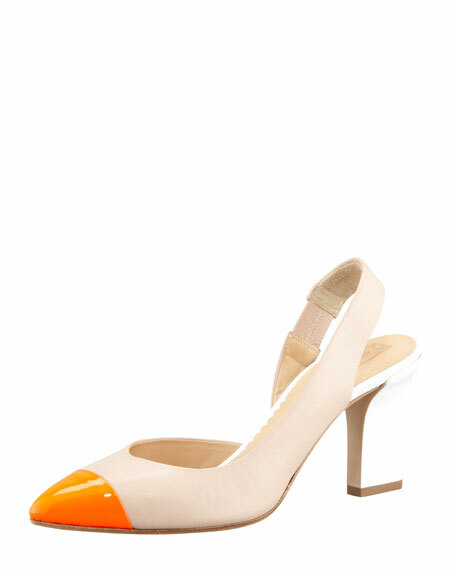 Contrast patent pointed cap toe. Stretch slingback strap. 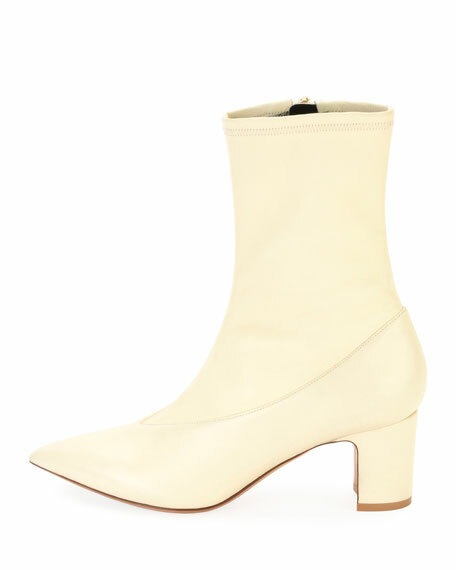 3 1/4" patent thick heel. Padded leather insole. Made in Italy. Ash colorblock sneaker in stretch fabric and leather. Flat chunky wedge heel with platform. Reinforced, round toe. Pull-on style. Rubber outsole. "Addict" is imported. 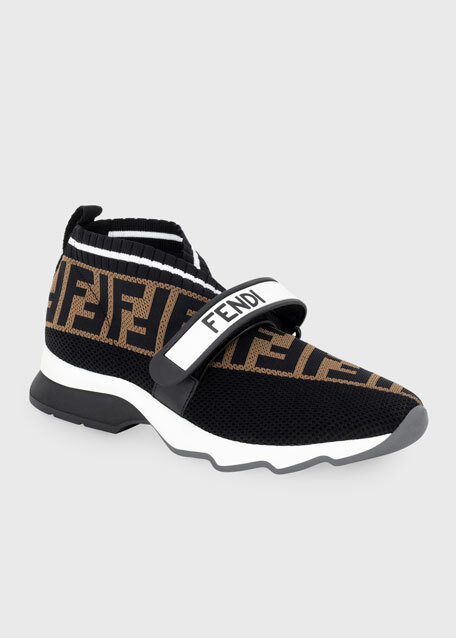 Fendi FF-embossed knit sneakers with leather and rubber trim. Flat chunky heel. Reinforced round toe. Logo grip strap at vamp. Pull-tab at backstay. Stretch-sock insole. "Rockoko" is made in Italy. Gianvito Rossi mesh-knit bootie with suede trim. 4.3" covered stiletto heel. Pointed toe. Pull-on style. Stretch-sock top collar. Leather lining and sole. Made in Italy.